SAINT TEN stands for traditions passionately intertwined with modern times. The old building in Svetog Save 10 Street was built by the famous architect Stojan Veljkovic in 1929. Veljkovic family has a long family history that left a tremendous mark in the history of Belgrade. As a well-known family they were involved in politics since their existence and were owners of many buildings and even of the first Bank of Vracar. Stojan Veljkovic was a popular architect of that time. As a polite, handsome and well educated man he is known for unique architectural style that shows in many buildings in our city. 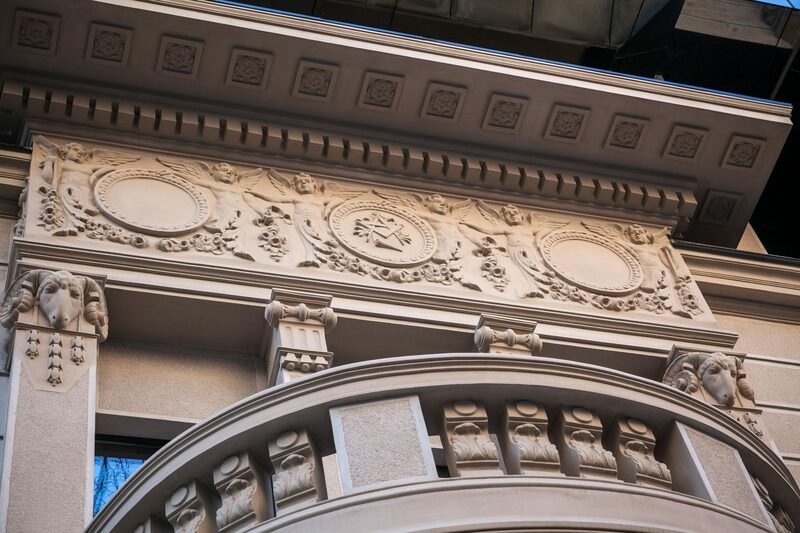 History shows that he was a mason, thus he used many masonic symbols in his architectural expression and this can be clearly seen in our hotels façade. Besides the beautiful architecture and the famous family background the old building was used to host many important political events in the history of former Yugoslavia. The history of the building is under the veil of many political gatherings. The one that stands out is the famous Cvetkovic Macek Covenant that represents a historical moment for the past of our country. The rumor has it that the famous MI6 agents were paid out in this building too. But this is the mystical part of the entire building and its concept that we let our guests discover for themselves. In order to preserve the importance of this location and all the events that took place in this old building, our Ministry Suites with their unique balconies were preserved in respect of the heritage that the building carries. 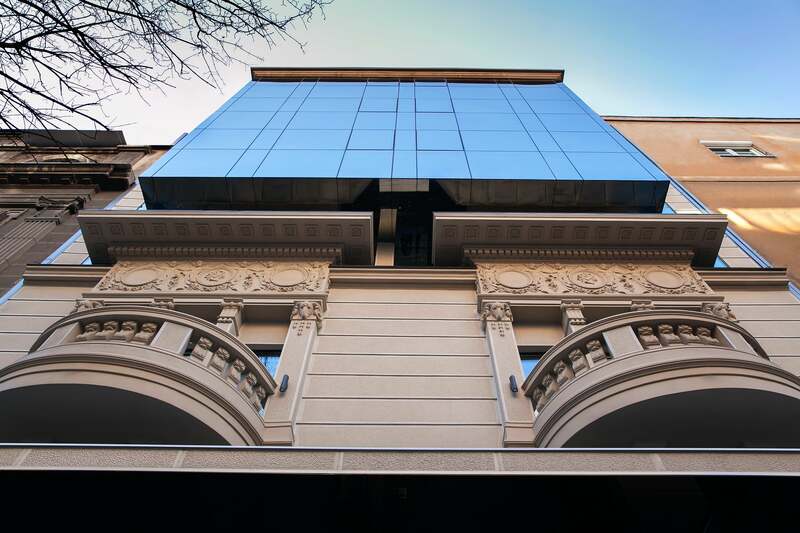 Through interior and exterior design we aim to retain the historical charm in fusion with the modern architecture creating a perfect blend that is rare and unique in this city.